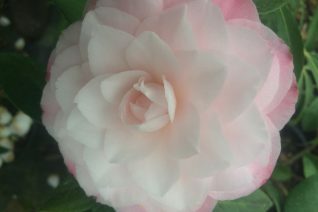 One of the finest Camellias ever created. ‘Nuccio’s Pearl’ thrills us with perfectly symmetrical flowers that are technically a formal double. The outside petals are blushed with pink and as the center of the flower unfurls it becomes pearly white. The perfectly formed flowers appear in March and politely drop before discoloring. To 8′ tall and 4′ wide in 7 years in full sun to quite a bit of shade. Rich to average well drained soil that retains moisture. Moderately fast growing formal looking evergreen that is naturally dense and with deep green glossy leaves. Light, consistent summer water. 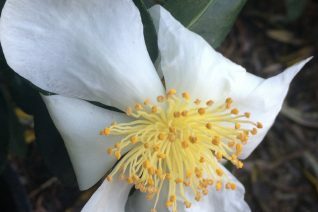 A really cool winter blooming Camellia that has several surprises. The pure white single flowers that open from December to February are HUGE- up to 5″ across in full bloom. They have a boss of yellow stamens in the center that emit a light sweet scent. When blooming is over the new growth is the next surprise. Glossy deep black leaves emerge and fade slowly to deep green. Its a great foliage transition and gives the shrub extra depth. Large growing upright sasanqua to 8′ tall and 4′ wide in 7 years. Much wider with time. Great espalier subject with vigorous lithe growth. Sets tons of flower buds and if flowers are ruined by frost more will open in sequence. Full sun to part shade in rich, well drained soil. Light but consistent summer moisture. 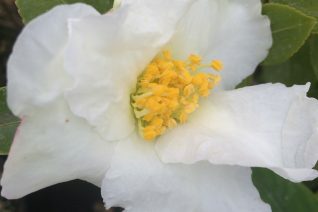 Very easy to grow shrub with spectacular flowers at a good time of the year. Fast growing to 1′-3′ per year when young. Evergreen. Rare, obscure, insanely heavy blooming fall and winter blooming Camellia sasanqua. Individual flowers are not formal or stiff, instead the the petals are separated, loose and vivid pink. They appear en masse from October to January and decorate the lithe arching stems in pretty cascades of flowers. Blooms are exceptionally cold tolerant for a sasanqua enduring temperatures into the low 20’s and still remaining fresh. No bother though as a parade of buds exists to replace spoiled blooms. Full sun to quite a bit of shade- without the expense of blooming. 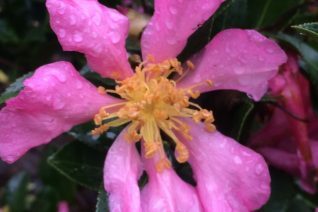 Fast growing, vigorous open shrub that takes well to pruning in spring to encourage density- build blooming wood. Rich, to average well drained soil with light consistent summer water. A very wild and informal appearing Camellia and we love it. Glossy deep green foliage. To 5′ x 7′ and arching. Light flower fragrance. 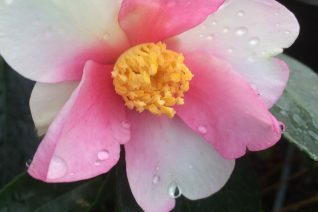 Obscure and stunning DWARF Sasanqua Camellia. Beginning in October and opening blooms through December and sometimes even later. Smaller stature than a standard Sasanqua. The double glistening pink flowers decorate the shrub in a dense way. To 4′ x 4′ in 8 years- but growing larger. Deep, deep green glossy leaves are pretty on this open and lax evergreen shrub. Full sun to light shade in rich to average well drained soil; light consistent summer water increases fall bloom set. Excellent and dainty espalier subject. Very pretty blooms. One of the most successful and spectacular of the autumn/winter blooming Camellias. This classic semi-double white variety begins blooming in early November and finishes in January. 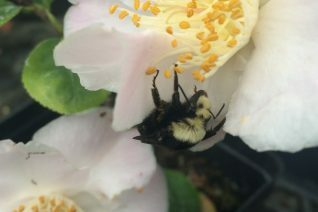 The 4″ wide flowers are surprisingly and wonderfully fragrant up close- the fragrance seems to be different for everyone. For me its a sweet note with a background of moist potting soil…see? At any rate its a vigorous evergreen shrub for full sun to light shade. Sasanqua Camellias really do better in full sun- trust me. Light summer water but very drought adapted when established. To 8′ x 6′ in 6 years. Excellent as an espalier which will protect the open flowers from ungodly cold if it occurs. If flowers are frozen existing buds will usually open when it warms above freezing. Good looking tough shrub for year round appeal. 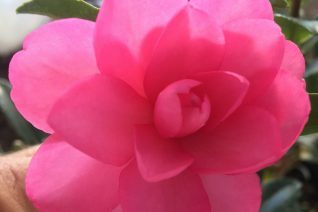 If you’ve never been to the Camellia festival at the Portland Japanese Garden in Feb/March you really wouldn’t know that there are fantastic Camellias out there (not just the raw hamburger colored doubles that you see in front of every house). 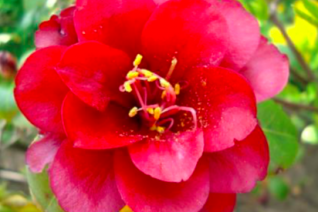 We got this amazing cultivar there and we are always on the lookout for the very true reddest Camellia. This is one of those. Glossy bright green serrated leaves make a wonderful upright growing shrub to 8′ x 4′ in 7 years. In February-April semi double huge true deep red/black flowers appear- they are profuse over the whole plant. Full sun to shade in rich, well drained soil. Regular summer water to establish then a bona fide low water plant. Woodlands, Ann Amato’s garden. Wonderful color early in the season. This exceptional hybrid between C. japonica and C. sasanqua truly does bridge the winter gap blooming heavily from November to February. Each single flower is composed of alternating light pink and white petals and is imbued with a sweet rich fragrance. Low spreading evergreen for full sun to full shade. To 5′ x 5′ in 7 years. Rich, moisture retentive, but fast draining soils. Excellent espalier subject. The open flowers are cold hardy to about 26ºF but more will open if those are frozen. Heavy bloomer. Drought tolerant when established. She’s a great girl this Cindy. Small semi-double flowers open blush and change to sugar white. Intimately, they have the spicy sweet fragrance of cinnamon – especially on the warmest winter days. A profuse bloomer that grows as an open small tree in time. The handsome deep glossy green foliage is good looking at all times. Before the flowers discolor they drop cleanly to the ground. Blooms late December to March. To 6′ tall and 3′ wide in 5 years. Average to rich, well drained soil with light, consistent summer moisture. 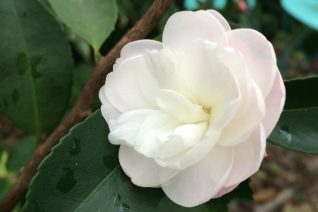 Easy to grow wonderful fragrant reward of winter. 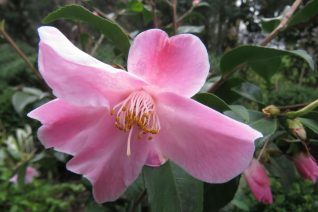 This lovely winter blooming Camellia hybrid includes the fragrant species C. lutchuensis and has simple highly perfumed pink flowers. The 4″ open single flowers have fluted petals that are medium pink with darker pink stains at the petal tips. 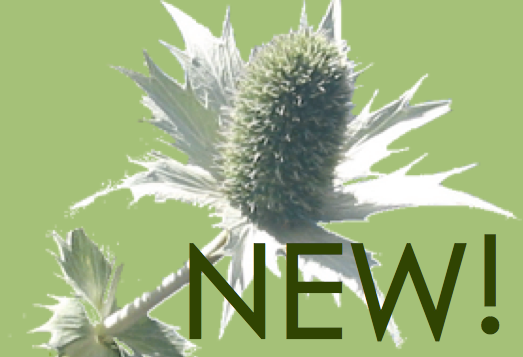 Fast growing shrub that shows excellent hybrid vigor. Glossy evergreen leaves are perfect year round. Open branching pattern features the clusters of cinnamon scented flowers from December to March. To 9′ tall and 4′ wide in 8 years. Full sun to quite a bit of shade in rich to average well drained soil. Consistent summer moisture ensures superior flower bud set. Elegant Camellia. Exceptional C. lutchuensis hybrid that imparts sweet fragrance to the profuse semi double blush flowers in late winter to early spring. Extremely heavy bloomer the smaller flower cluster in groups along the boughs- quite unlike other Camellias with a massive display . These sprays of fragrant flowers weigh down the boughs and the whole shrub is covered in blooms. Grass green matte foliage is a handsome backdrop to the small (3″) but profuse bloom. Part shade to shade in rich, moisture retentive soil with adequate drainage. Not as tolerant of full sun as other Camellias. Consistent summer irrigation ensures a larger flower set. To 6′ x 4′ in 6 years. Tough and elegant. Takes dry shade very well and still blooms profusely.